Telluride Trout t-shirts are the latest production from Telluride Outside guide and professional photographer Joshua Johnson. 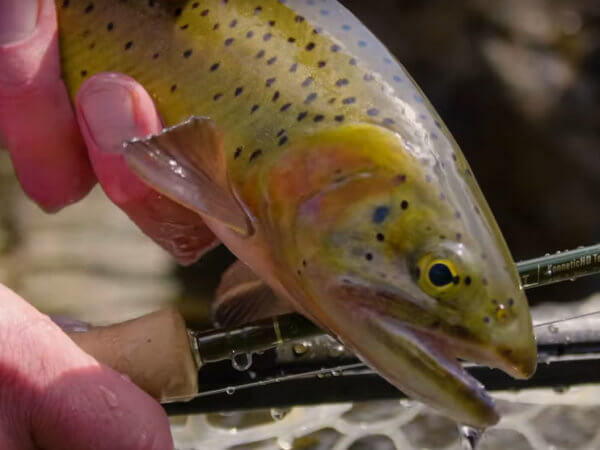 Beautiful in imagery and material, Josh’s Telluride Trout t-shirts are authentic products from the heart of the Telluride Outside guide service. The wild fish pictured on this high quality, supple t-shirt represent the four species groups of wild trout found in the Telluride region: rainbows, browns, cutthroat and brookies. Josh personally caught, photographed and released all of these fish in Telluride trout streams. Sizing note: these are high quality, fitted t-shirts. If in doubt, order a larger size.